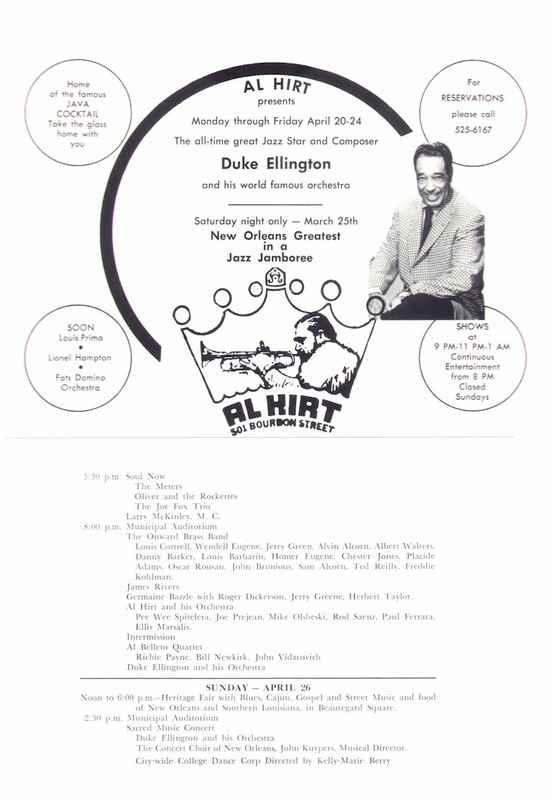 1970 was the first New Orleans Jazz & Heritage Festival. The Festival was held in Beauregard Square (the official name of Congo Square), now part of Louis Armstrong Park, and the adjacent Municipal Auditorium, over one 4-day weekend (Thursday-Sunday). There were four stages, and admission was $3. There was also a Wednesday evening riverboat show. Big thanks to Chicago Mike for this vintage info!